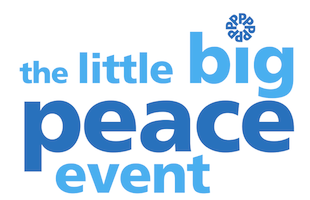 This year's Streatham Little Big Peace festival is turning its focus on the unnecessary tragedy of youth-on-youth-violence, with a procession down Streatham High Road at 9am on Saturday morning. Organisers say: "This is not about creating fear. We want to show that as a community we CAN put our differences aside for one day. We really CAN stand together against the needless and devastating violence that plagues our young people and community." There will be speakers and participation from parents, concerned citizens, local youth groups, councillors, Lives not Knives, JAGS foundation and Seeds of Peace. All welcome to join in making a powerful stand for our community and future generations. Starting point 2: outside the Crown & Sceptre Pub on Streatham Hill end (opposite the bus garage). End point: All walkers will meet in the middle at The Odeon Streatham where there will be a short speech and performance. • You will need to register on the day to join the walk. • Everyone is welcome to join as long as you bring a peaceful and friendly attitude. • Please Bring your own peace- themed banners and wear white (or a white item).